Summer is the best time to see car shows across the U.S. Places that were once under the ice-crusted grip of winter go into overdrive, hosting some of the best collector car events around. Not to be outdone, warmer-climate areas take part in classic car fanfare as well. Take advantage of the Cars On Line Calendar (click here) to see if there’s a car show or auction you’d like to go to on the horizon. We’ve listed a few of our favorite shows below! 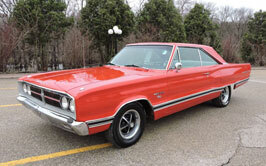 These summer car shows feature many cars for sale too, either by private sellers or auction sections of the show. They provide an excellent opportunity to get to know other car gurus, who may prove instrumental in putting your dream car in your garage. Carlisle Events puts on numerous car auctions during the summer months. Event goers especially look forward to the Spring Carlisle Collector Car Swap Meet, Corral & Auction that takes place in April. Click here to get their full schedule of events, locations, and times. Though located primarily in Carlisle, Pennsylvania, they also host events in other cities, and also in Florida. The ACD Festival is a yearly tradition that shows off some of the most impressive cars ever built, right in the town where they were made! The festival is the event of the town and boasts dozens of social events. Enjoy pancake breakfasts, the festival beer tent, the Parade of Classics, and numerous historical tours. The ACD Museum is a must-see. (Click here for more ACD Festival info.) Though not officially part of the festival, RM Sotheby’s hosts one of the finest classic car auctions in the Midwest only a couple miles from the festival at the same time. That’s not all though. RM Sotheby’s hosts numerous auctions there throughout the year! Click here for details on this year’s events. See Cars On Line festival coverage here. The Charlotte Motor Speedway is home to the Charlotte AutoFair each April. Last year’s show included 9,500 vendor spaces full of restoration parts, 1,600 vehicles for sale and more than 50 car clubs with vehicles on display. It’s large enough to need multiple days to see it all. Click here to see our coverage of the event when we were there. Details about the show can be found on the Charlotte AutoFair page. The Minnesota Street Rod Association (MSRA) hosts what is widely regarded as one of the best car shows of the year each June. It boasts numerous events including a swap meet, curbside rodding, auctions, Cruise-N-Arts craft fair, model car contest, MHRA rod repair shop and an army of commercial vendors. That’s far from everything. Thousands of volunteers come together to make it happen. Click here to see some of our experiences at Back to the 50s. See what’s happening this year at the MSRA page. More than 10,000 spectators showed up for a nostalgia event designed to increase tourism and benefit charities in 1986. 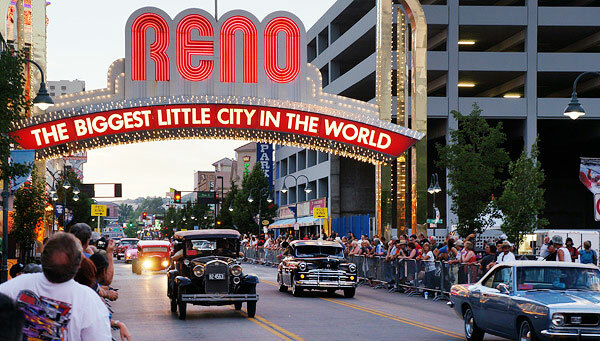 Today Hot August Nights draws more than 800,000 each year to Reno, Nevada! With numbers like those they must be doing something right. The show is so large, tourists feel like they’ve been transported back in time, with classic cars dominating every street. You’ll find the Hot August Night Swap Meet, plenty of shopping at the Big Boy Toy Store, and dozens of venues in Reno at your disposal. You can see what Cars On Line saw with our event coverage on the ClassiCarNews Blog. Visit the show homepage here. One of the most prestigious shows in the country is the Pebble Beach Concours that takes place every year on the eighteenth fairway at Pebble Beach. It was originally a small social event and road race through the pine and cypress forests in the area but now is where thousands of collector car enthusiasts go to see about 200 of the most prized collector cars and motorcycles in the world get judged for historical accuracy, technical merit and style. It also features some of the most innovative concept cars of the present. Cars On Line attended. 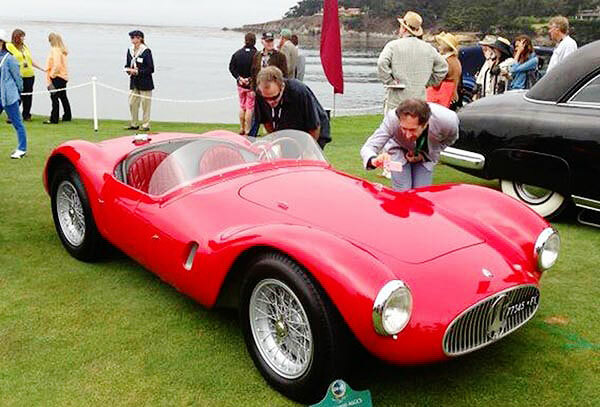 See what he saw in the ClassiCarNews Blog, or visit the Pebble Beach Concours Homepage for more. Some of the nation’s famous cruises are not to be missed and are the ultimate expression of what it means to be a collector car enthusiast. What’s better than sharing the road with like-minded people doing what cars were meant to do? Cruises typically involve driving from city to city, partying all night and getting up the next day to do it all over again, all the while sharing the brotherhood of the road. 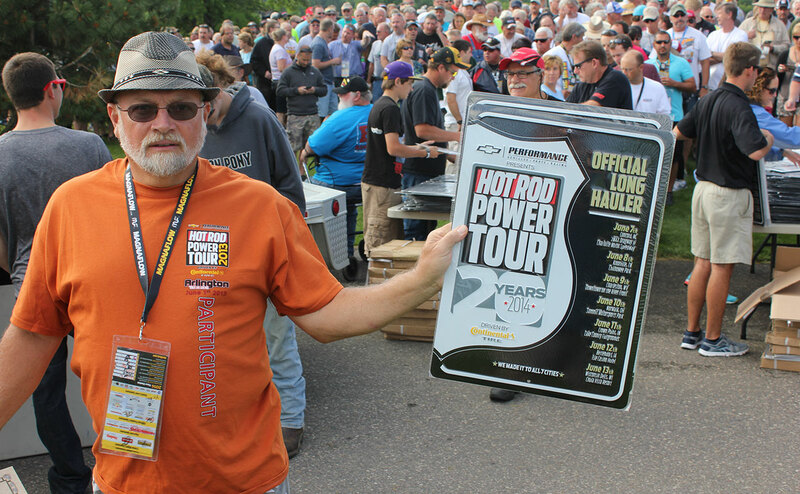 The Hot Rod Power Tour is a seven day event that passes through seven different cities and thousands of miles. More than 6,000 vehicles and 100,000 spectators participate each year. Click here to get this year’s schedule. It’s free to spectators and individual cities host a variety of events. See Cars On Line at the Power Tour here. 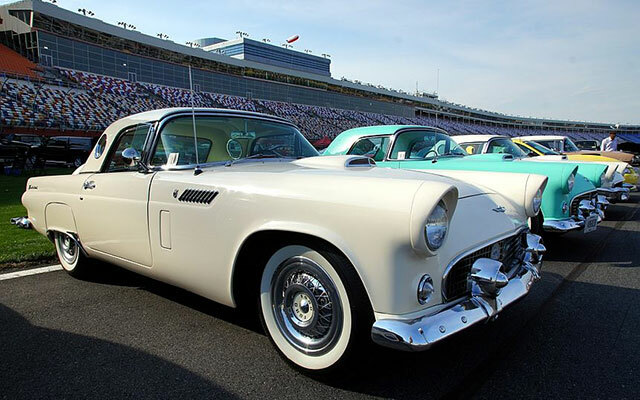 Since 1983 antique and vintage automobiles have been entering the Great Race National Event and Great Race Regional Rallies, automotive competitions based on precision driving and navigational skills. They’re timed, controlled-speed endurance rallies according to their event regulations. The event spans multiple states and thousands of miles. Find out more on their website here. The world’s largest one-day automotive event draws 1.5 million people and 40,000 classic cars from around the world, yet began in 1995 as a small fundraiser to raise money for a soccer field in Ferndale, Michigan. It takes places on Woodward Avenue, America’s first highway, in Michigan but the exact route and stops along the way are announced each year. You can find more information on the Woodward Dream Cruise Website. Want to find more shows in your area? Head over to the Cars On Line Calendar! CLICK HERE to read more How to Buy a Car Online installments!